Lord Brahma, the god who created knowledge and then beautiful universe, who has made human body made up of so many colors like your nerve is green, blood is red, eyes has different shades and human skin color ranges in variety from the darkest brown to the lightest hues. Even five elements on earth “Agni”, “Jal”, “Sthal”, “Vayu”, “Akash” has made up of different colors. As an individual grow older, with maturity comes a greater liking for hues of shorter wave length (blue, green, purple) than for hues of longer wave length (red, orange, and yellow). Human brain able to extricate over two hundred shades of white, able to see the same color no matter the light source, saying color is essential to our perception is no slight exaggeration. Holi is the festival of colors or the festival of sharing love. The festival signifies the victory of good over evil, the arrival of spring, end of winter, and for many a festive day to meet others, play and laugh, forget and forgive, and repair broken relationships, and is also celebrated as a thanksgiving for a good harvest. Thus, we are sharing importance of 7 colors which controls this beautiful universe and its impression. Purple/Violet is the harmonic marriage between red and blue. It embodies the balance of red’s stimulation and blue’s calm. It has the shortest wavelength. Purple has association with time and space cosmos; this makes purple a color that signifies meditation as well as spirituality. Purple is the color of the Crown Chakra, also known as Sahasrara, is located at the top of the head. It is linked with the crown of the head i.e. ; the nervous system and the brain. It is the representative of pure thoughts. The Crown Chakra connects one with the infinite consciousness. Opening this chakra will tap into a deep spiritual understanding. Purple represents planet Jupiter. February is the month associated with the color purple and the birthstone for those born in February is amethyst. Purple is considered a cool color in landscape design. Its appearance has a calming effect. For example, planting lavender in your garden can be stress reducing and soothing. If you like purple/violet color, then it says a lot about your personality. You are gentle and free spirited, sensitive and compassionate, understanding and supportive, thinking of others before yourself. You are the person others come to for help- being needed motivates you but sometimes people take advantage of you. Being a personality with color purple, you have a peaceful and tranquil quality and a quiet dignity about you. People are drawn to your charismatic and alluring energy. You are intuitive and quite psychic or at least interested in spiritual growth or the occult. You seek spiritual fulfillment. You look for the meaning of life. You are a visionary, with high ambitions, dreams and desires. 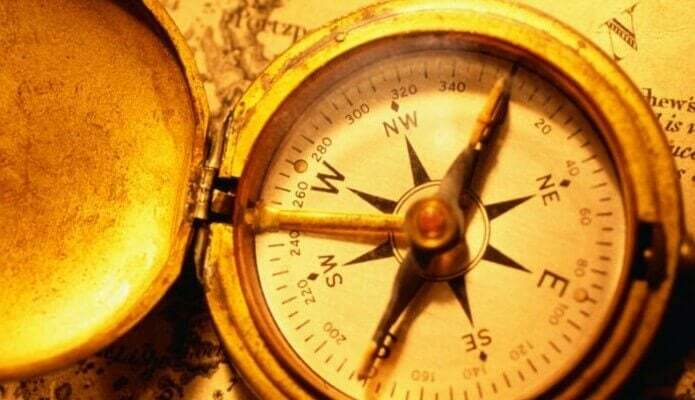 You also signify mysticism, royalty, creativity and wealth. Indigo is the color of the deep midnight sky. People often get confused with this color as indigo is very close to both blue and purple; It is the combination of purple (imagination & spirituality) and blue (trust & responsibility). It is the color of self awareness and spiritual attainment. Indigo represents intuition, perception and concentration. Indigo is the color of the Brow or Third-Eye Chakra. This chakra is located between the eye brows. This chakra is linked to the eyes, nose, ears, brain, and nervous system, pineal or pituitary gland. This chakra opens the consciousness and brings awareness to higher planes and connects us with the spiritual world. Indigo color represents planets Saturn and Neptune. Indigo gemstones open the door to the subconscious, symbolizing the bridge between the finite and infinite. They are often used as a guide to cosmic knowledge. The indigo stones are Blue Sapphire, Lapis Lazuli, and Amethyst. Indigo is considered a cool color in landscape design. Grapes, blueberries, wild indigo can be planted to give a calm as well as mystical touch. Having your favorite color as indigo indicates that you are honest, compassionate and understanding. You are powerful and dignified. Indigo conveys integrity and deep sincerity. You are very organized individual. You love rituals and traditions. At times you can be quite inflexible. Yours is an addictive personality, indigo people are more often seen as workaholics and may also get addicted to other things. You reflect devotion and justice. You are reliable- people rely on you in crisis. You believe in humanity and think that serving humanity is serving god. You make decisions based on intuition. You are very creative. Sometimes you tend to be a show-off. Indigo is a very deep color. It is not playful but formal. It also connects you to your deeper self and universal unconsciousness. Blue ( combination of indigo and green, which is turquoise or aqua ) is the most loved color. It has a very calming and soothing presence. The color of the sky is blue, the color of the sea is blue; therefore blue signifies consistency and stability. Blue is the color of the Throat Chakra, also known as Visuddha or Kanth Chakra. Energy at this chakra is of Bluish-golden color. 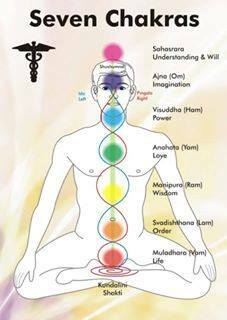 This chakra located in the throat. The throat chakra is linked to thyroid gland,upper lungs, neck, hands and arms. Opening this chakra gives you a remarkable speech and hearing ability and also encourages spiritual communication. Blockage in this chakra can result in lack in faith, unable to express creatively. Blue color represents the planet Saturn. Gemstones for this color are Blue sapphire, turquoise and aquamarine. Blue is one of the coolest colors in landscape design and it brings a soothing element to the garden. Having your favorite color blue means you are conservative and trustworthy, genuine and sincere, reliable and responsible. You always think before you speak and act and do everything at your own pace. While you are sensitive and caring to others, you prefer the company of your own close group of friends. You are approachable and friendly but sometimes you can be manipulative. You make a loyal and faithful partner. As a friend, you are trustworthy and sincere. You can be quite emotional and sensitive to the moods of other people. You can be stubborn- doing things in your own way. You have a thirst for knowledge in order to gain wisdom. You benefit from daily meditation and need quiet time for self-introspection. You can be too cautious and worry about every little thing and also prone to self-pity. Blue is the color of the mind and hence it is very soothing. Light blues signify clear thoughts, clear communication. It gives a refreshing and free feeling. Green being in the center of the spectrum, is the color of balance. Green is the bridge between warm colors ( red, orange, yellow ) and cool colors ( blue, purple ), therefore it is the color of balance, stability and harmony. Green is the color of Heart Chakra, also known as Anahata Chakra. It is located at the center of the chest and is linked to the heart, lungs, circulatory system, liver, thymus and the complete chest area. The Heart Chakra being at the center bridges the gap between the physical and spiritual worlds. Opening this chakra allows one to be more loving, compassionate and empathetic. Blockage of this chakra results in ruthlessness, emotionlessness and feelingless. Green represents the planet Venus. Birthstones associated with color green and Venus are jade and emerald. Green is considered a cool color in landscape design. It brings a soothing element to the garden. If your favorite color is green, you are practical and down-to-earth, generous and compassionate, calm and creative. You are a nurturer, but must not neglect your own needs while taking care of other people’s needs. You have high moral standards, doing right thing is important to you. You have a great need to love and to be loved. You wear your heart on your sleeve. You are very open about your feelings. You are a loyal friend and a faithful partner. You have a gentle approach but not passionate as you thrive for harmony and peace. You like to be accepted, appreciated and admired for the good you do in the society as well in the family. You are strong-willed and do not like to be told what to do by others. You are very observant of your surroundings. You are a good listener and can view other’s problem by putting yourself in their shoes. You are empathetic, modest and patient. A negative side to the green personality is a tendency towards envy and jealousy. Dark green for ambition and prosperity. Teal(Blue-green) for emotional health and stability. Olive green for peace and harmony. Yellow is one of the primary color. The wavelength of yellow color is relatively long and stimulating. In this case, the stimulus is emotional; therefore yellow is the strongest color, psychologically. It is the color of happiness and optimism, warmth and intensity. Yellow is the color of the Solar Plexus Chakra, also known as Manipura Chakra. The color golden yellow indicates aura. This chakra is located in the stomach area. It is linked to the stomach, liver, skin, large intestine, muscular system, and solar plexus area. This chakra represents vitality and will. Manipura Chakra, when open acts to empower a person and helps them find their personal strength. It gives person a strong will to turn dreams and goals into reality. In Hinduism, yellow is the color that signifies spring. It’s a tradition to wear yellow on Vasant Panchami. Goddess Saraswati, goddess of knowledge and wisdom is worshiped on this day. Yellow is the color of the planet Jupiter. Yellow color birthstones are Amber, Cat’s Eye, Golden Yellow Topaz, Yellow jade, Yellow Granite, Yellow Sapphire, to name a few. Yellow is considered a warm color in landscape design. Its appearance has a stimulating effect. For example, sunflower signifies pure thoughts. It symbolizes adoration and dedication. If you like yellow color, then it signifies that you are cheerful and warm. You are creative, often being the one who comes up with new ideas but at the same time you are very critical of yourself as well as of others- you are a perfectionist. You analyze everything, you are a methodical thinker. You are someone who is impulsive and makes quick decisions. You use your mind to achieve goals rather than your physical energy. You have a strong independent streak in you, you are very selective with your choice of friends, a small group of friends rather than being involved in large social gathering. You tend to hide your emotions, putting a brave face in times of adversity. Golden yellow signifies happiness, hope, confidence, friendliness and emotions. Light yellow signifies self-centeredness, selfishness, caution. English mustered signifies the person is disciplined and dutiful. Orange is the combination of red (passion & energy) and yellow (happiness & creativity). Orange is the color of energy, happiness, warmth, sensuality, vibrancy but also of frustration and immaturity. Fun and flamboyant orange radiates warmth and energy. Orange is the color of Sacral Chakra also known as Swadhisthana Chakra. It is located between the base of your spine and your navel. It is associated with your lower abdomen, kidneys, bladder, circulatory system and reproductive organs. This chakra represents desire, pleasure, sexuality, procreation and creativity. Orange represents the planet mercury. Associated birthstones are amber and orange agate. Orange is considered a warm color in landscape design. Its appearance can have an exciting effect in the garden, helping to make a large garden feel cozier. Planting a marigold can be auspicious. As a personality color orange, you are assertive and determined rather than aggressive. You enjoy socializing and partying- you are the life of the party. While you are charming and sociable, you do tend to be a show-off. You are tolerant and accept others as the way they are. You get great satisfaction from helping others and they find you inspiring with your vitality and positive energy. You are an adventurer. You live life based on your gut feeling. You are not always loyal in your relationships and find it difficult to commit. You are full of life, a go-getter. Orange people prefer to explore their outer world rather than their inner world. Orange hues tend to be balanced, energetic and inviting. Yellow-orange/ gold is for prestige and wisdom. Red-orange is for pleasure, energy, health and desire. Dark orange is for change or disgust. The longest wavelength of light is red, therefore it’s a very dominating color. It’s a powerful and emotion evoking color. It signifies both love and war. Red is associated with strong stimulating emotions like passion, love, anger, aggression, strength, life and blood. Red is the color for the Base or Root Chakra also known as Muladhara Chakra. This chakra is located at the base of the spine and allow us to be grounded and connect to the universal energies. This chakra is associated with your legs,feet, bones, large intestine,and adrenal glands. Base Chakra is the closest to the ground. It controls your ‘fight or flight’ response. Planet Mars represents red color. Birthstones associated with Mars and Color red are ruby and red coral. Red is considered a warm color in landscape design. Its appearance in the garden has an energetic effect. Red plants attract the eye and are a good choice for areas you want to draw attention to. Having red as your favorite color identifies you as extroverted and optimistic, courageous and confident. You like to be the center of attention. Other people are drawn to the vitality and sense of excitement you possess. You are ambitious and competitive and likes to be the winner. You are not afraid to pursue your dreams and goals. Red people can be aggressive and easy to angry. You flare up instantly but calm down quickly. You do not hold grudges.You are impulsive and impatience. Light red for joy and love. Dark red for rage and anger, also for leadership and courage. Rusty red for fall and change. Red is strong, and very basic. Pure red is the simplest color. It is stimulating and lively; and at the very same time it can be perceived as demanding and aggressive.